Preacher Faith Heals His Rusty Private Plane [VIDEO] - Joe.My.God. 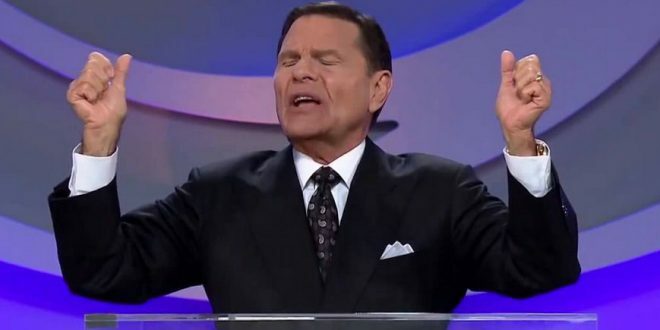 Televangelist Kenneth Copeland has a lot of experiences with planes. Hell, he’s best known in the secular world for buying a private jet just so he could avoid getting “in a long tube with a bunch of demons.” Earlier this year, he also purchased a multi-million dollar private jet, then asked people for an additional $2.5 million for “upgrades.” The man knows his planes. In fact, God gave him the power to heal airplanes that were corroded. At least that’s what he said during a sermon this week. The clip is cued up to the crazy.